Why is ecofeminism still needed to address the environmental emergencies and challenges of our times? Ecofeminism has a chequered history in terms of its popularity and its perceived value in conceptualizing the relationship between gender and nature as well as feeding forms of activism that aim to confront the environmental challenges of the moment. This book provides a much-needed comprehensive overview of the relevance and value of using eco-feminist theories. 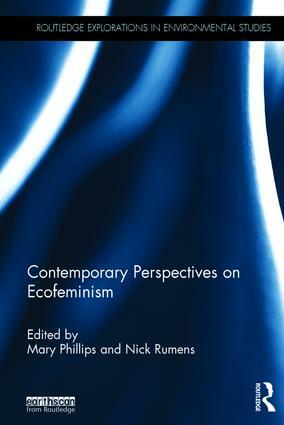 It gives a broad coverage of traditional and emerging eco-feminist theories and explores, across a range of chapters, their various contributions and uniquely spans various strands of ecofeminist thinking. The origins of influential eco-feminist theories are discussed including key themes and some of its leading figures (contributors include Erika Cudworth, Greta Gaard, Trish Glazebrook and Niamh Moore), and outlines its influence on how scholars might come to a more generative understanding of the natural environment. The book examines eco-feminism’s potential contribution for advancing current discussions and research on the relationships between the humans and more than humans that share our world. This timely volume makes a distinctive scholarly contribution and is a valuable resources for students and academics in the fields of environmentalism, political ecology, sustainability and nature resource management. Mary Phillips is Reader in Organization Studies at The School of Economics, Finance and Management, University of Bristol, UK. Nick Rumens is Professor of Organization Behaviour and Head of Department (Leadership, Work & Organization), at Middlesex University, UK.